User's of Bill Fitzmaurice designs. Re: User's of Bill Fitzmaurice designs. While you don't have to spend a ton of money to get decent quality sound, a box made from 1/2" wood loaded with mid level drivers is only going to go so far. Would a design revamped for use of 3/4" Baltic birch and loaded with Pro drivers change things? I wasn't really interested in if Bill's designs would take over the "Pro" market, but again (sorry for another repeat) just wanted to hear opinions of people that have built and used them. I doubt you are going to run into any users here, as most of the folks on these forums require gear that is a little more rugged, better sounding, and has a better return on their investment. We have discussed Bill's designs for years here, mostly on the Lab Sub Forum. I have two Omnitop S1220 loaded w/melded arrays, four T39's (15 inch width) bp102 loaded. Driven with qsc powerlights and BBE processing. no complaints, nothing but ear to ear grins about the sound. For them money it can't be beat. for a rider-less company dealing with dj's mostly, I couldn't have afforded it any other way. The melded arrays sound fantastic. Small rooms are covered with ease and with very little power. As far as DIY designs go, the support and sound can't be matched anywhere, and the price is right. I'm purchasing another builders set of six THT's, I'll have a review of them shortly, maybe I'll have Smaart by then also. Oh yeah. I forgot about the 1/2" plywood. What ? Other than for desk-top PC speaker applications , there is no justification for anything less than 5/8" thickness ..... along with with ample bracing. A lot of builders are using 3/8th to save weight. The subs are internally braced. I've NEVER noticed any rattling or cab noise from them. But virtually no manufacturers of pro speakers uses less than 5/8" thickness. if you recess hardware and screw or tee-nut the hardware (handles) into the enclosure panels, you obviously cannot use 3/8". Anything attached (in this manner) to less than 5/8" is likely not to last. 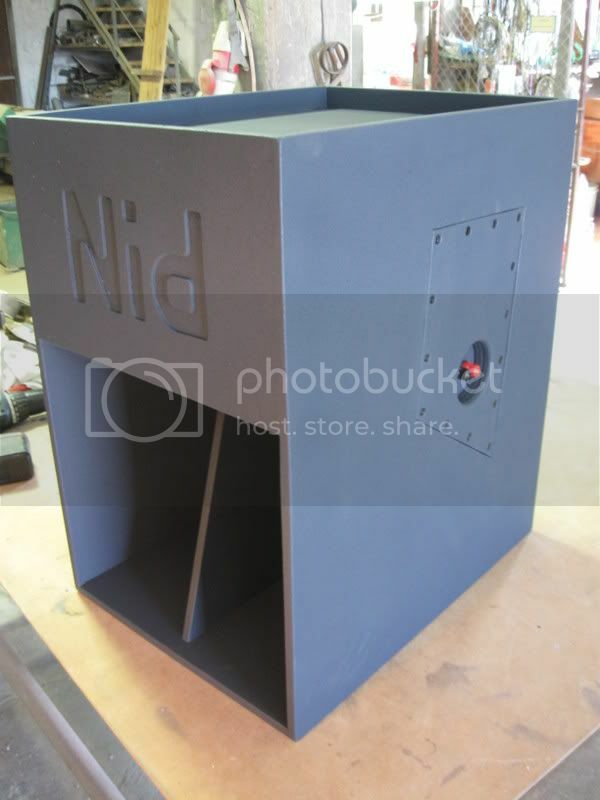 diaphragmatic behavior: in LF enclosures mass and stiffness are required to make the enclosure as inert as possible. If you use thinner plywood and then add bracing to improve this I am not sure you have saved any appreciable weight. But you have added to the materials cost and fabrication man-hours. I acknowledge that some of these issues may not be of great concern to folks doing "light weight" events. I sincerely do not desire to rain on your parade. So take that into consideration when you read my (and others') replies. If you increase plywood thickness and use "pro drivers" you are then faced with a number of additional needs/challenges. There would be no point in using better and more expensive drivers unles you were willing and able to create decent crossovers for them, either passive (on-board) or active (logically via DSP). This is a HUGE task. If you built enclosures that are more "pro", you need to consider whether they need to be "truck pack" dimensions. You also need to figure out center-of-gravity as far as handle locations. These are more likely to need casters, due to the increased weight which comes more from the better quality drivers (unless (perhaps) they are neodymium) than from the beefier plywood. You need to think about how these will physically stack and whether the dimensions make this feasible, both from a coverage standpoint and as far as safety. But the bottom line here is whether it would be worthwhile to build higher quality versions of unproven and possibly flawed designs. I think it is not. However, I am also a proud and very satisfied user of 6 of his DR290 top cabs. I built them about 3 years ago and have been using them ever since. and up to (my…) big 3way setup with two or three DR290s per side on top of LABsubs. They do fit perfectly the types of gigs I am doing and I really came to love their many advantages. their limited horizontal and very narrow vertical dispersion and their stacking (and hanging) ability. I have good confidence that Bill’s other designs are as nice sounding as the ones I have tested. Hey Scott, I am also a user of the DR290 model. I have also heard other cabs like the DR250, and Titan 48. My opinion is that these cabs if setup correctly can hold up to cabs costing several times more. I have done some basic RTAing of the cabs but do not own Smart and not familiar with how to use it. We do have a descent rig built. All stacks are DIY. The main reason I built them was because of a recommendation from someone on this board. I was looking for something to replace the 6 Mackie SRM1530's I was using. 3 per side just didn't have the volume and combing became an issue with to many cabs side by side. I read the site and kept up with the designs about a year before we built our first pair. I can remember setting up the top the first time and how much louder it was than the Mackie. More than 2 to one on SPL. This was gonna be a loud cab compared to what I had been using and the claims with vertical stacking to help reduce combing I could build as many as we were willing to haul. After a little eq'ing I felt like it was something we could work with. After finishing 6 cabs we setup several times to make changes to EQ and crossover settings. WE actually got a really good sound but started to loose drivers on our larger outdoor stuff. Not enough rig for the gig I guess. Well any way after speaking to Bill I asked about using better drivers and we ended up upgrading the High Frequency drivers to BMS 4552ND. This was a huge step up from the original Eminence. They were clearer, more efficient and handled more power. Since we changed these we are yet to have a blown driver with them. I could write several pages on all the things we have worked on with the cabs but that would take hours. If you ever want to talk about them PM me and I'll send you phone info and we can talk. We have used the cabs for about 2 years now and have had really good success with them. 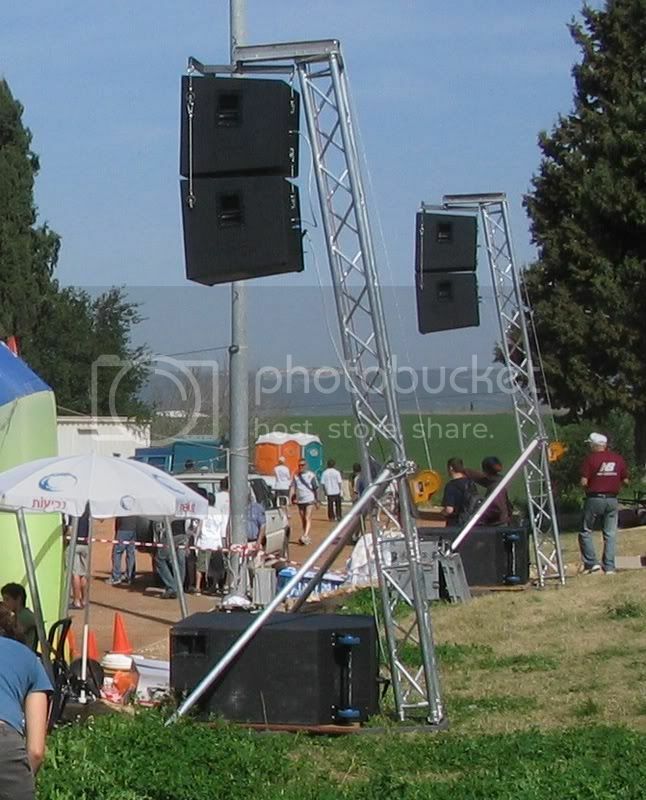 We have used them 4 a side for gigs up to 3000 people for outdoor festivals with a really good sound. The system never sounds stressed. Other gear we use is QSC PLX for Power, LS9 and Allen & Heath for mixers, Sennheiser and Shure for Mics, HPR122 for monitors (10). If I had to do it again I would build the same thing. I have to say that for sound and money I would put the cabs up against any bought cab out there. The DR290 with new updated drivers and hardware cost me about $700.00 each to build not counting labor. The cabs are built with 3/4" ply and only weigh in about 85 lbs each. Let me know if you have any other questions. "About" how loud will the van sub get, C weighted? How much headroom do you think you may have above your 100w amplifier? We used to run Tuba 24's that I built and they pretty much did what was claimed and sounded OK doing it. The TH-Mini's that replaced them are in a whole other league both in performance and sound quality. Which should be expected with the price increase. I've heard one of his 240 tops as well and it sounded fine.